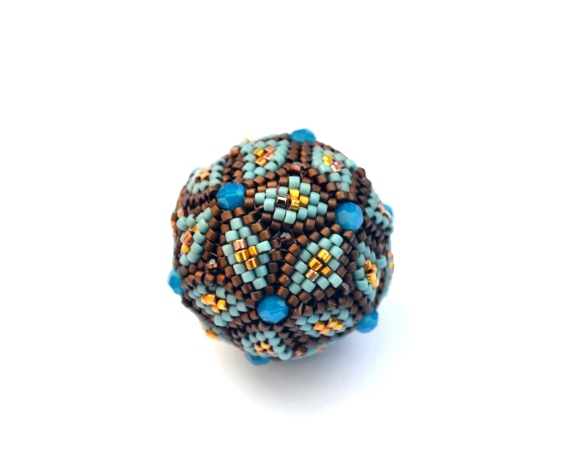 Update- now instructions for both the peyote stitch and brick stitch beaded beads are included! 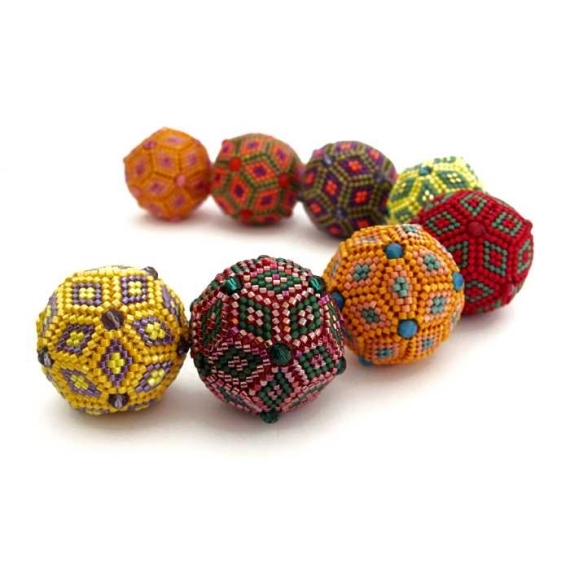 Learn how to make the unique beaded beads which form a part of my Geometric Beadwork series. 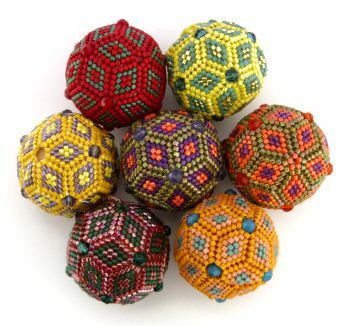 These individual beads won 1st place in the 2007 Bead Art Awards in the mixed media category. These two downloads, containing 15 pages in total, contain all the step-by-step instructions, diagrams and photos you will need to make your own colourful beaded beads. Brick stitch- 12 x 4mm round crystals (or similar), 20 x 2mm round crystals (or similar), A few grams of cylinder beads such as Delicas or Aikos. A basic knowledge of brick stitch or peyote stitch is needed. 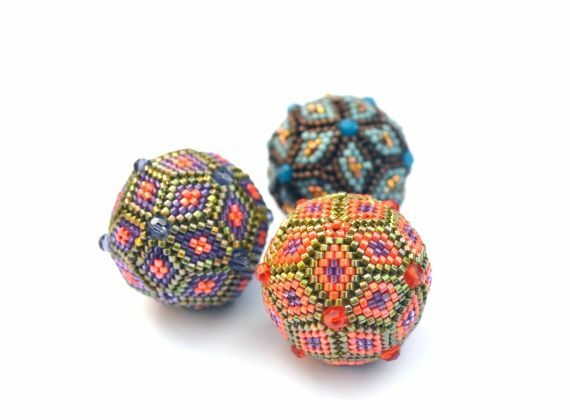 These instructions are also available as part of my Geometric Beadwork instructions set.